Rooney is well angulated both in front and rear. He has substantial forechest. All of this gives him the power to run and run and run all day long. In the ring, he has a free flowing, ground covering movement. In the field, he has a fast and explosive run that is effortless and never seems to tire. He has a joy and zest for life and always enjoys a game of frog. 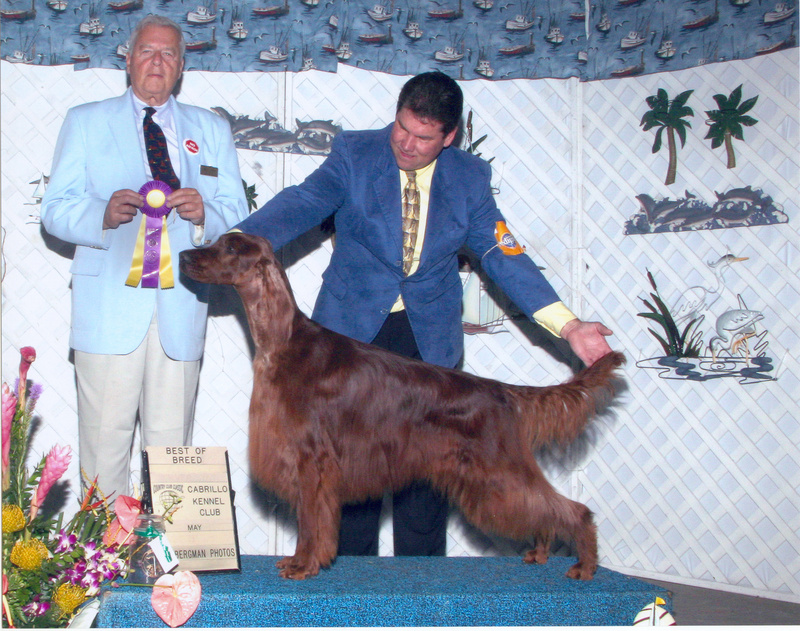 Rooney finished his Championship with 3 majors at Irish Setter Club Specialties and is also Field Pointed.